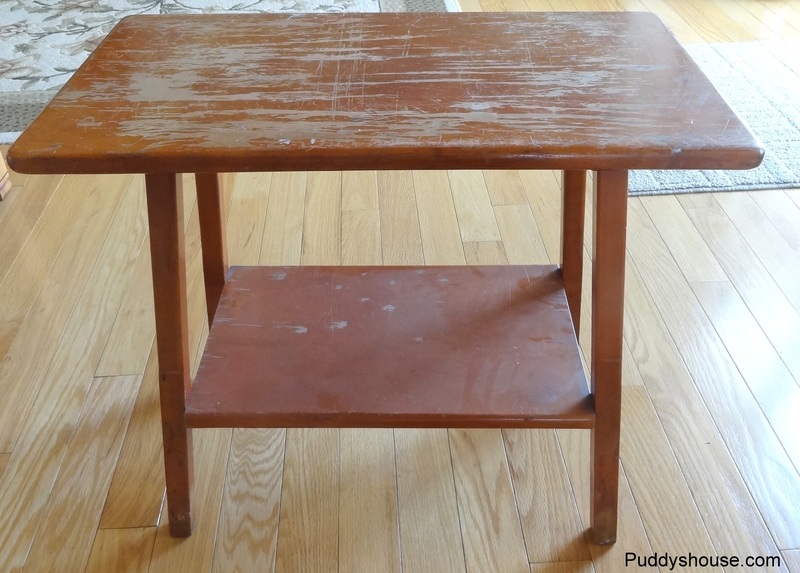 I purchased this little table for $5 during our neighbordhood yardsale. I posted this picture of it before saying it was in process, which was quite a while ago, but DIY does not always go as planned. It had definitely seen better days, but since it was so rough looking I thought it would be an easy makeover. I was definitely wrong on that one! The sanding was simple enough with my power sander. I got it down to the bare surface and ready to be stained. It was missing one of the screw covers in one leg, so I applied a stainable wood filler to it. I had never used the product before, but I thought it was worth a try. After that was dried and set, I got started on my staining. 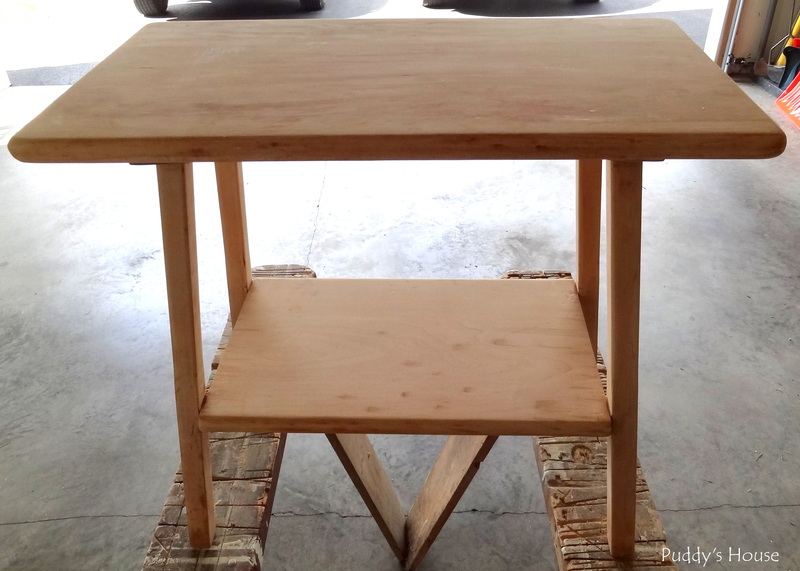 When I took “Paint and Stain 101” at the Haven Conference, I learned that when I was staining I really should use a pre-stain wood conditioner. 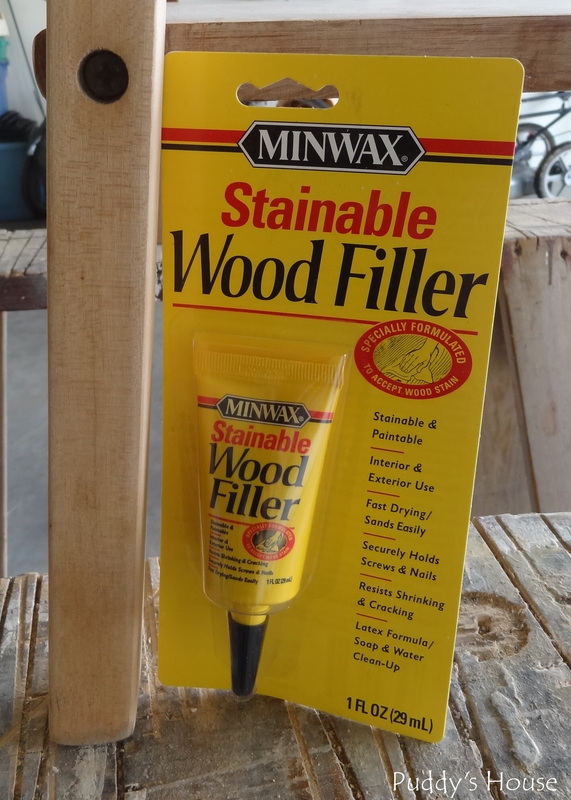 This product prepares the wood to accept the stain equally, so you don’t end up with a blotchy stain. So, this was my first time also trying that product. I followed all the directions on it, then got to work staining. And, this is where the good progress stops! Despite all my direction following, I still ended up with blotchy stain. I can overlook blotchy spots if the overall look is still good, but this one really was not the look I was going for. The picture above is the table still in the garage, because I just can’t decide what to do with it. I tried applying a darker stain overtop to see if that would warm it up a bit, but that didn’t change it much at all. 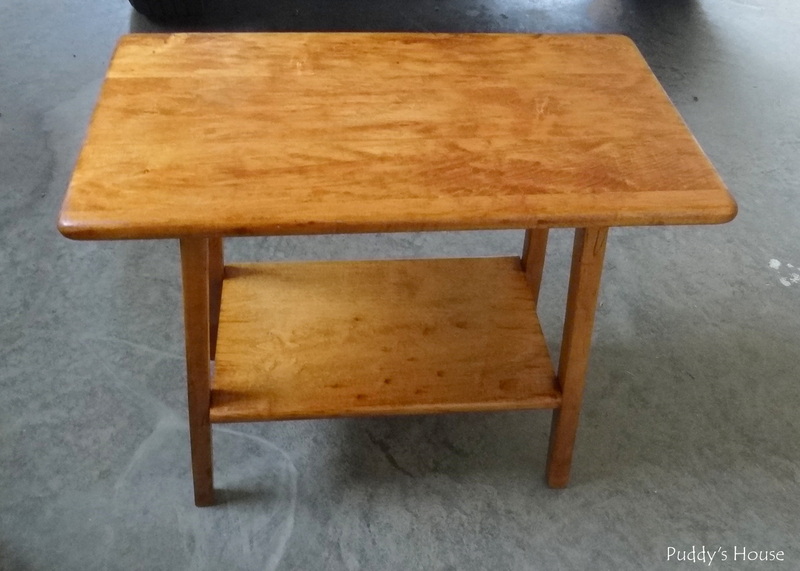 And, the stainable wood filler did not really work either….I didn’t take a picture of it, because it looks really bad! So, does anyone have any recommendations for how to save this piece? Should I accept the current stain and just put a satin poly on it? Should I throw in the towel on staining and paint it? What would you do?